Listen to two Public Service Announcements (PSA) developed by our Beats, Rhymes, Life alumni group. The youth completed a number of PSAs this summer. These are two airing on B95 this fall. Kings Partnership for Prevention (KPFP). School and community efforts (community events, afterschool and summer programs). 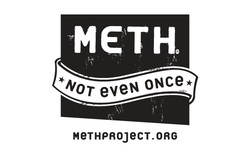 The Meth Project was established by businessman Thomas M. Siebel in 2005 in response to the growing Meth epidemic in the U.S. Today, the Meth Project is a program of the national nonprofit organization The Partnership at Drugfree.org. The Meth Project is a large-scale prevention program aimed at reducing Meth use through public service messaging, public policy, and community outreach. Central to the program is a research-based marketing campaign, community action programs, and an in-school lesson all designed to communicate the risks of Meth use. Natural High is a 501(c)3 substance abuse prevention organization that inspires young people to say yes to their passions, and no to drugs and alcohol. They believe youth have the ability to create a new social norm – one that embraces passions and dreams, free from artificial highs.